Even though the word “nootropics” was coined within the past few decades, the concept and practices have lasted for thousands of years. Traditional Chinese medicine and Ayurvedic compounds have been used for many thousands of years for average rural villagers and priests alike. The western world has used caffeine for many centuries and it is still one of the most well known and used stimulants today. Yet with modern advances, nootropics have taken on a completely different face. They are no longer just a part of forgotten eastern philosophy. People of all ages are getting involved with nootropics in order to increase their cognitive abilities and perform better at work, school, or wherever responsibilities might be. You can utilize this guide to determine what type of smart drug or nootropic compound might be best for you. Not everyone should take all the different drugs, which is why understanding the basics of nootropics is such an important task. Understanding nootropics and how they impact your brain and body requires some historical knowledge of how the term was coined. As early as 1972, scientists in the former Soviet Union were developing a series of drugs to help treat car sickness when they stumbled upon a memory enhancing drug called piracetam. A Romanian scientist named Dr. Corneliu E. Giurgea developed the term from the Greek “nous” (mind) and “trepein” (to bend / turn). Literally, the nootropics are supposed to bend or alter the neurotransmitters and thus improve cognition. Since then, nootropics have been synthesized, extracted, and re-discovered from ancient texts. Even though pharmaceutical industries have helped synthesize many molecules for patent and usage in many diseases, there are plenty of natural remedies and cognitive enhancers. Attention / Focus – Getting enhanced attention and focus is nothing new for most people. This section includes stimulants like caffeine, guarana, and other synthetic options like aniracetam or oxiracetam. When you are trying to complete tasks at the workplace, having an improved attention or focus can make the difference. Mood Enhancement – we all like to feel good and with some drugs, your mood will improve considerably. Ever wonder why dark chocolate makes you feel so good? The cocoa flavanols and other aspects of the chocolate are improving dopamine levels and your mood in general. Creativity / Reasoning – while both creativity and reasoning are separate, there are plenty of drugs that can help you to achieve both. While being alert and focused is good at times, being able to relax and calmly solve a problem is more important in other cases. You’ll see a variety of advantages from using these drugs for some type of outside-the-box project. Anti-Fatigue – sometimes the difference between test performance is not intelligence, but removing the fatigue from a hard night of studying or working. With some anti-fatigue drugs (like creatine), you can improve your cognitive abilities by just providing more sustainable and usable energy for the brain. Before you decide to take any kind of nootropic drug, it is important to learn how to do the proper research. There are many methods of determining what kind of side effects a drug can cause with the information at our fingertips. The first thing you will want to do is read the Wikipedia article on whatever compound you are looking at. This is definitely not the only place to look as Wikipedia can be edited by whomever has ulterior motives in doing so. Nonetheless, it will give you some basic information and it can link you to a number of high quality studies on public databases. Utilize some of the information through these database studies in order to determine whether the nootropic actually works and whether it is worth the side effects. It might require looking through many different studies, but it is definitely worthwhile. You may also want to utilize Google Scholar and PubMed searches independently, which can give you access to a broader range of articles. There are also some information based websites (such as this one), which can help you to better understand individual drugs. Which Nootropic is Best to Start? A lot of people who are interested in some type of cognitive advantage, but do not have the goals yet figured out often ask “which nootropic is best to start?” It is a valid question for people that want to dip their toes into the water before seeing whether nootropics are really for them. Getting the beginner nootropic drugs can be an effective way of altering your biochemistry safely and without providing too much of a shock. The following three options should be well-researched and you should ensure that you only take one at a time. Otherwise the variables are confounding and it is difficult to say what might have helped you. You should look into cognitive tracking technology (often referred to as biohacking) in order to get the best results. One of the most popular beginner nootropic stacks is a combination of caffeine and L-theanine. This is one of the best because it is derived from natural products and they work synergistically together. Getting caffeine from coffee or other sources is a simple task with modern technology. Extracting the L-theanine from green tea is also quite cheap. Individually, the two compounds can be effective as well, but when they are combined the synergy is unparalleled. There have been numerous studies showing that L-theanine works to mitigate many of the negative side effects associated with caffeine (such as jitters, over-stimulation etc.). One way to incoroprate this nootropic stack into your life is to just drink one 8 oz. cup of coffee and take a 200 mg supplement of L-theanine with it. This way you’ll also get cocoa flavanols and anti-oxidants from the coffee. Just make sure that you do not drink too much. If the caffeine and L-theanine combination is the best beginner nootropic stack for attention and focus, piracetam and choline is the best for memory enhancement. Piracetam was the first drug under the “nootropic” term, which helped animals and humans to vastly improve their cognitive abilities. In the 1980s numerous studies on animals and healthy college students showed that combining the piracetam with choline could lead to even more stellar results. Since then, piracetam has been utilized as an Alzheimer’s and senile dementia drug in many regions of the world. In these other regions, it is referred to as nootropil or nootropyl. Most of the people who are involved with taking piracetam (or the other analogues) recognize the difference only when significant testing is performed on their memory. Piracetam itself does not provide any “feeling” that is exhibited with caffeine or mood enhancing drugs. Another huge advantage of both piracetam and choline is the relatively few side effects or problems with toxicity when taking the drug. Even though it is a synthetic derivative of the neurotransmitter GABA, it offers relatively few side effects for most common users. That’s right! You may have only ever heard of creatine as a method of improving muscle growth and helping jock athletes to compete. However, the same principles that make creatine useful for athletes makes it great for your mental capabilities as well. Creatine is used as a nootropic because it helps you to enhance ATP synthesis more efficiently than any other process. While creatine is best found in animal products, it can be supplemented in the form of creatine monohydrate. Ensure you have healthy kidneys before you take this. While the load on the kidneys is less dangerous than initially thought, it is obvious that people with kidney conditions need to be careful. The recommended 5 gram dosage per day is equivalent to 2.5 lbs. of meat. The above mentioned beginner nootropic options are great for people that want to get started with the least possible risk of side effects or health related problems. However, there are plenty of people interested in nootropics because of the long history with traditional Chinese and Ayurvedic compounds. In fact, some of the most famous nootropic companies (like Onnit) have utilized these extracts extensively in their products. There are a wide variety of traditional Chinese medicinal remedies that one can utilize in order to get cognitive advantages. While never considered nootropics in their time, these herbal extracts are now made more potent and better for supplementation. Asian Ginseng (panax) – this is a plant common to the Korean peninsula, China, and some parts of Siberia and Vietnam. It is one of the most well-researched nootropics and includes over seven different well-known and reputable studies that show improved attention and focus. The way that ginseng is able to provide the best advantage to cognition is through reducing anxiety and stress. Many of the herbal remedies provide enhancement through these channels. Ginkgo biloba – the ginkgo biloba plant is also useful in mitigating anxiety and stress, but it has been proven to improve memory as well. Many well-known Chinese texts record the memory enhancement and it continues to be used for this purpose as well. 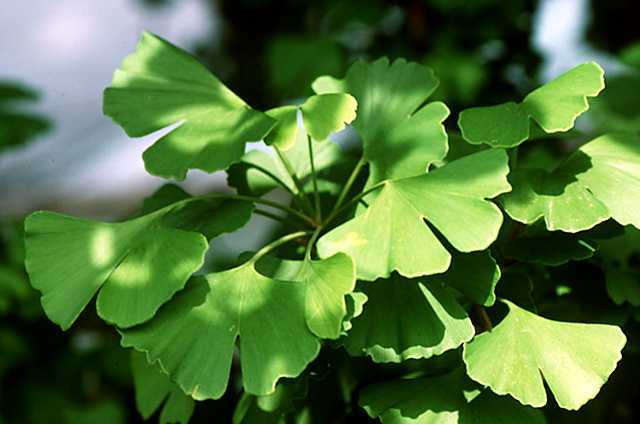 There is a synergy between ginkgo biloba and Asian ginseng (panax) as well. Polygala – as one of the 50 fundamental herbs in traditional Chinese medicine, polygala is known for neuro protection. While there are few studies to suggest this is the case, it might be useful to try as a natural extract. In traditional Indian cultures, many of the herbal remedies have lasted until today as well. There are a number of traditional Ayurvedic books on the subject and they provide uses and results gleaned from thousands of years of observation. However, the modern science of many of these compounds cannot be refuted. Bacopa monniera – this fat soluble plant is grown in northern India and the state of Kerala. The rural Indian villagers still eat ghee with this plant even when the purpose is unknown. It is documented to improve cognitive abilities and performance by reducing anxiety. Ashwagandha – like bacopa, ashwagandha is well-known to help reduce anxiety in order to improve concentration and focus on a given task. There are still plenty of other nootropics to keep in mind whenever you are doing research. Some of them are natural while other of them are synthetic, but more potent. Depending on your needs, some of the following might be excellent for you to try. Aniracetam – this is a powerful analogue of piracetam, which is far more potent. A few alterations makes it a lot less bioavailable, but it enters the blood stream and has an immediate effect. In some ways, the aniracetam acts as a stimulating nootropic while at the same time providing memory enhancement. Many recent studies have shown that aniracetam is perfect for improving anxiety in social situations and after trauma. In fact, many studies on post-traumatic stress disorder are utilizing aniracetam as one of the main compounds. Make sure to take this with choline just like other racetam analogues. Oxiracetam – another piracetam analogue, oxiracetam is a more modern nootropic with great stimulating effects and neuro protection. While there are fewer studies on oxiracetam, the existing research shows that it can help to reverse neurological degeneration in animals that already have brain trauma. Utilized for similar purposes in humans or Alzheimer’s patients, it is now a prescription drug in many countries around the world. Like piracetam, this should be taken with a choline supplement. Modafinil – depending on your country, it might be possible to get Modafinil over the counter. If not, it will be a prescribed drug called Provigil, which is a hyper-stimulant that can improve your ability to complete tasks. Many people, like Tim Ferriss and Dave Asprey, have mentioned that Modafinil is one of the best nootropics that someone can take. It is important to make sure that you do ample research on the drug before using it. Even though it can be helpful, using a prescription strength stimulant is one of the riskier moves you can make. Omega-3 – getting the right kind of omega-3 fatty acids is going to do a host of good for your brain and body. Not only does it have many anti-aging properties, but it will also make sure that your cognition is as enhanced as possible. This includes improving our attention and in some cases even your short-term memory. The most important aspect of omega-3s is to get the right type. The DHA and EPA from fish is what will really help as opposed to the flax seed omega-3s, which are not readily converted in the body. If you do not already take some of the very basic nootropics, it might be a great job to do so. Even though modern technology and chemical solutions should not be the answer to everything, there is so much we lack in civilization. By eating a diet low in organ meats, we have less choline and may need to supplement. By practicing other lifestyle choices not fit to our genetics, we may create the need for nootropics in order to balance neurotransmitters and hormones. With this proper balance, your responsibilities will become easier, more fulfilling, and enjoyable.